It’s OK to talk about it. We all have one. We just didn’t know that it existed until the 1980’s. Your endocannabinoid system is a complicated body-wide system that helps promote homeostasis. Homeostasis is when your body is at rest, not stressed, just chilled out and kicked back and doing what it does. Your endocannabinoid system has complex actions in all of your body’s organs and even in the intersection between cell types, like blood vessels and neurons, so it literally acts as a bridge between your body and mind. Cannabinoid receptors are like little locks on the surface of cell membranes. They are present throughout the body and are believed to be more numerous than any other receptor system. Cannabinoids are the substances like keys that unlock or activate these receptors. Delta-9-tetrahydrocannabinol, or THC, is the most psychoactive and certainly the most famous of these substances. Others, such as cannabidiol (CBD) and cannabinol (CBN) have valuable healing properties. Researchers have, thus far, identified at least two cannabinoid receptors. CB1 receptors are mostly present in nerves, connective tissues, gonads, glands, and organs. CB2 receptors are generally found in the immune system and its associated structures. Many tissues contain both CB1 and CB2 receptors, each linked to a different action. Whoa, that sounded a lot like science. In a nutshell, scientific research has proven that our state of consciousness definitely affects our physical state of being and that cannabinoids facilitate the communication between our body systems. Maybe the secret to world peace is that everyone really does need to sit down and smoke a fat bowl and chill? Learn how to decarboxylate your cannabis before cooking with it, if you wish to achieve the full psychoactive effect. This recipe uses cannabis coconut oil. For directions on making cannabis infused coconut oil, check out this guide. The most important thing to remember is that the vegetables you choose must be fresh. Serve this with some quinoa or wild rice if desired. Dose yourself safely and be sure to have a non-medicated side dish to help you fill up so you don’t eat too much. Clearly labeling leftovers and medicated items is recommended. For more recipes like this, visit the Stoner’s Cookbook here. A fusion of berry, fruit, and other floral notes make up the aroma and taste of Blue Magoo, resulting in a palate as colorful as its pastel purple and green buds. A tight bud structure is not uncommon in this strain, with dense and resinous nugs absolutely covered in beautiful frosty trichomes. Blue Magoo is a favorite among patients as it combats a variety of symptoms including pain, nausea, insomnia, anxiety, and appetite loss. Many patients have claimed that Blue Magoo is a fast acting pain reliever that does not generally carry with it some of the anxiety-inducing effects that higher THC cannabis strains sometimes have. The lack of paranoid side effects, coupled with the rapid and efficacious symptoms relief and palatable fruity taste, make Blue Magoo a very approachable strain and one that any patient would be pleased to experience. Substance is currently carrying this strain on our shelves. It starts at $9 a gram, $31.50 an eighth, $60 a quarter, $110 a half ounce and $220 for a full 28 grams. Testing at 20.15% THC and 0.45% CBD, this flower is lovely and exceptional by all accounts. Stop by and see it for yourself. To read more about Blue Magoo, check out Leafly’s feature right here. Even though it’s on the banned list now, does anyone really think of marijuana as a performance-enhancing drug in the first place? After all, as Robin Williams later joked, “the only way it’s a performance-enhancing drug is if there’s a big f—ing Hershey bar at the end of the run,” right? A renewed appreciation for nature is also not an uncommon side effect of cannabis use. It turns out marijuana might actually help some people perform better at certain sports. This may sound crazy. After all, we’re all familiar with the image of the couch-locked, Cheetos-covered stoner. Yet there are people that say training while high has helped them unlock new performance gains. In November, Men’s Journal interviewed elite triathlete Clifford Drusinsky, a Colorado gym owner who also leads training sessions fueled by marijuana edibles. Cannabis topicals are good for a variety of ailments. Some of the salves that we currently have in stock help treat symptoms related to psoriasis, melanoma, arthritis, migraines and symptoms like dry and itchy skin. Cannabis topicals come in several varieties, such as roll-on oils, nourishing salves and ointments, and in some cases even products such as soap and sprays. Topicals are applied directly to the skin, where they are absorbed and utilized by the body. Even though the cannabinoids are being effectually used in the healing process, cannabis topicals are non-psychoactive as long as they are not orally ingested… which is not a course of action that we recommend. It is also important to avoid using cannabis topicals on new, open and bleeding wounds. They can certainly help your body heal cuts and bruises after they have closed up, however. The anti-inflammatory properties present in a multitude of cannabinoids are remarkable; cannabis topicals are therefore very helpful for folks recovering from injuries and for people who suffer from ailments such as rheumatoid arthritis and lupus. Topicals help reduce the time it takes to heal from injuries, and promote the functionality of joints and reduce nodule formation. 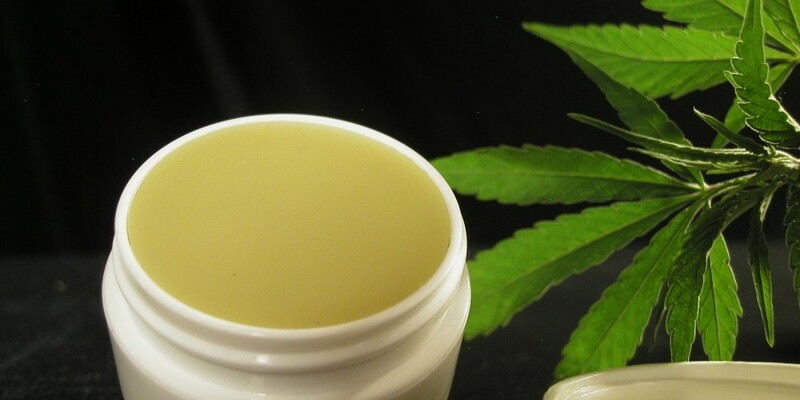 Cannabis topicals essentially combine the effects of antibiotic ointment with the healing effects of a salve to produce lovely products that can even help heal burns, eczema, rashes, fungus, and annoyances like warts and blemishes. The uses of topicals are still being explored, but the overwhelming amount of anecdotal evidence of their efficacy in treating all of the ailments we have listed, and more, is undeniable. There are so many conditions that cannabis topicals can help with, and they might just be able to help you too. Stop by the shop and browse our wide selection of topical salves, balms, sprays, and oils to find something that works for you. As we all know, there are a wide variety of ways to ingest cannabis. You can find many of these on our page highlighting some of the more common methods of marijuana consumption right here. Recently. 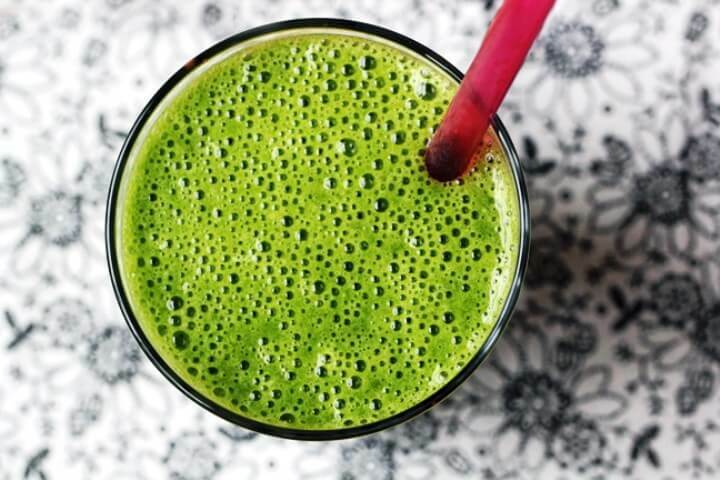 there has been a lot of talk about a relatively new method of cannabis ingestion; juicing. Why has it become popularized, and what makes juicing cannabis better than other methods of consumption? Well, the parts of the cannabis plant used in juicing are the fan leaves or the cannabis bud itself. These parts of the plant contain not only over a hundred healing cannabinoids, but also contain photo-nutrients such as chlorophyll and chloroplast, which provide some of the best plant-based energy nutrients. Cannabis is rich in omega-3 and -6 fatty acids, which are essential nutrients that our bodies do not produce independently, so we must find them through the foods we consume. Cannabis has all of the essential amino acids we need, making juicing it a super nutritious option. Juicing cannabis provides an excellent method of medicinal consumption of the healing cannabinoids present in cannabis. You can get these healing benefits from smoking cannabis, but this will also decarboxalyze the THC, inducing a psychoactive effect. While this may be beneficial for some, the non-psychoactive relief provided by the digestive absorption of cannabis juice may be more desirable for other folks. To put this in different terms, taking a hit of cannabis is comparable to taking a shot of medicine. Juicing cannabis is like drinking the bottle. While drinking raw cannabis straight may not be so tasty, adding fruits and vegetables such as carrots, ginger and pomegranate can help out a lot with the flavor. Any fruit or vegetable juicer works for the process, but we recommend using a wheat-grass juicer for best results. Cannabis juice is best ingested fresh, in order to provide all of the medicinal benefits to patients. This means that juicing are best when they are homemade and 110% fresh. Not only does juicing provide patients with non-psychoactive relief, but it also encourages us to use the entire plant and avoid being wasteful. Besides, the parts of the cannabis plant generally considered to be without use, such as the leaves and stems, can have their own medicinal benefit that we may not be completely aware of yet. Not only does cannabis juice provide medicinal patients with significant relief, but it also acts as a wonderful nutritional and healthy food option for many folks. People with cancer who must undergo radiation and chemotherapy frequently stop treatments rather than suffer the nausea, pain, and other unpleasant side effects. Years before any state had authorized the medical use of cannabis, a 1991 Harvard Medical School study revealed that nearly half (44%) of U.S. oncologists were recommending cannabis to their patients as a way of mitigating the side effects of cancer treatments. Since the release of the IOM report, new research has been published which supports the use of cannabis to curb the debilitating effects of cancer treatment. In 2001, a review of clinical studies conducted in several states during the past two decades revealed that, in 768 individuals with cancer, cannabis was a highly effective anti-emetic in chemotherapy. Other studies have concluded that the active components in cannabis produce palliative effects in cancer patients by preventing nausea, vomiting and pain and by stimulating appetite. While research in the United States has been sharply restricted by the federal prohibition on cannabis in the past, recent discoveries have increased interest among scientists in the more than 100 different cannabinoids so far identified in the cannabis plant. The International Cannabinoid Research Society (ICRS) was formally incorporated as a scientific research organization in 1991, and since its incorporation the membership has more than tripled. The International Association for Cannabis as Medicine (IACM), founded in 2000, publishes a bi-weekly newsletter and holds a bi-annual symposium to highlight emerging clinical research concerning cannabis therapeutics. The University of California established the Center for Medical Cannabis Research (CMCR) in 2001 to conduct scientific studies to ascertain the general medical safety and efficacy of cannabis products and examine alternative forms of cannabis administration. In 2010, the CMCR issued a report on the 14 clinical studies it has conducted, most of which were FDA-approved, double-blind, placebo-controlled clinical studies that have demonstrated that cannabis can control pain, in some cases better than the available alternatives. To date, more than 15,000 modern peer-reviewed scientific articles on the chemistry and pharmacology of cannabis and cannabinoids have been published, as well as more than 2,000 articles on the body’s natural endocannabinoids. In recent years, more placebo-controlled human trials have also been conducted. A 2009 review of clinical studies conducted over a 38-year period, found that “nearly all of the 33 published controlled clinical trials conducted in the United States have shown significant and measurable benefits in subjects receiving the treatment.” The review’s authors note that cannabinoids have the capacity for analgesia through neuromodulation in ascending and descending pain pathways, neuroprotection, and anti-inflammatory mechanisms—all of which indicates that the cannabinoids found in cannabis have applications in managing chronic pain, muscle spasticity, cachexia, and other debilitating conditions. Currently, cannabis is most often recommended as complementary or adjunct medicine. But there is a substantial consensus among experts in the relevant disciplines, including the American College of Physicians, that cannabis and cannabis-based medicines have therapeutic properties that could potentially treat a variety of serious and chronic illness. As one learns in biology, the human body has many systems – the circulatory, respiratory, digestive, and nervous systems to name a few. Each system has parts: for example, the nervous system is made up of the brain, spinal cord, and nerves. By the late 1980s, science identified a new human system – the endocannabinoid system (ECS) – also referred to as the cannabinoid system. There is a cannabinoid system present in all mammals – to include humans and 15,000 other species. The ECS has two main parts: cannabinoids, which are chemical neurotransmitters, and two receptors called “CB1″ and “CB2.” Cannabinoids activate receptors found throughout the body – in all organs, actually. In fact, all systems in our bodies are modulated by the cannabinoid system. This means that as a body system changes, it uses the ECS to do so. In each tissue in which it is present, the cannabinoid system performs different tasks, but the goal is always the same: homeostasis, the maintenance of a stable internal environment despite fluctuations in the external environment. Cannabinoids promote homeostasis at every level of biological life, from the sub-cellular, to the organism, and perhaps to the community and beyond. Here’s one example: autophagy, a process in which a cell sequesters part of its contents to be self-digested and recycled, is mediated by the cannabinoid system. While this process keeps normal cells alive, allowing them to maintain a balance between the synthesis, degradation, and subsequent recycling of cellular products, it has a deadly effect on malignant tumor cells, causing them to consume themselves in a programmed cellular suicide. The death of cancer cells, of course, promotes homeostasis and survival at the level of the entire organism. Endocannabinoids and cannabinoids are also found at the intersection of the body’s various systems, allowing communication and coordination between different cell types. At the site of an injury, for example, cannabinoids can be found decreasing the release of activators and sensitizers from the injured tissue, stabilizing the nerve cell to prevent excessive firing, and calming nearby immune cells to prevent release of pro-inflammatory substances. Three different mechanisms of action on three different cell types for a single purpose: minimize the pain and damage caused by the injury. The endocannabinoid system, with its complex actions in our immune system, nervous system, and all of the body’s organs, is literally a bridge between body and mind. By understanding this system we begin to see a mechanism that explains how states of consciousness can promote health or disease. In addition to regulating our internal and cellular homeostasis, cannabinoids influence a person’s relationship with the external environment. Socially, the administration of cannabinoids clearly alters human behavior, often promoting sharing, humor, and creativity. By mediating neurogenesis, neuronal plasticity, and learning, cannabinoids may directly influence a person’s open-mindedness and ability to move beyond limiting patterns of thought and behavior from past situations. Reformatting these old patterns is an essential part of health in our quickly changing environment. For more information on the endocannabinoid system, and a variety of other cannabis-related topics, visit NORML here. Terpenes (TUR-peen) are a large class of organic hydrocarbons produced by a wide variety of plants, and are referred to as terpenoids when denatured by oxidation (drying and curing the flowers). They are the main building block of any plant resin or “essential oils” and contribute to the scent, flavor, and colors. Some are even known to have medicinal value. Terpenes are the main class of aromatic compounds found in cannabis and have even been proven to interact synergistically with cannabinoids to provide for a range of different effects. While many people believe that it is the sticky glands of THC (delta9-tetrahydrocannabinol) that provide cannabis with its peculiar aroma, it is in fact the more unstable monoterpenes and sesquiterpenes that are responsible. In fact, it is the smell of the specific sesquiterpene, Caryophyllene oxide that drug dogs are able to detect when probing for cannabis. Terpenes have been found to be essential building blocks of complex plant hormones and molecules, pigments, sterols and even cannabinoids in cannabis. Terpenes also play an incredibly important role by providing the plant with natural protection from bacteria and fungus, insects, and other environmental stresses. More noticeably, terpenes are responsible for the pleasant, or not so pleasant, aromas and flavors of cannabis. Although, over 200 terpenes have been reported in the plant, only a small minority has actually been studied for their pharmacological effects. A study conducted in 1997 by the Swiss Federal Research Station for Agroecology and Agriculture entitled “Essential oil of Cannabis sativa L. strains” characterized 16 terpenoid compounds in the essential oil of different cannabis strains. The most abundant of which was myrcene. Other terpenes that were present in higher concentrations included alpha-pinene, limonene, trans-Caryophyllene and caryophyllene oxide. Understanding the importance of terpenes allows for a true “cannasseur” to broaden their approach to searching for new strains based on smells and tastes, rather than purely effects. Here you will find some of the more common scents manifested in the cannabis plant, along with their notable theraputic effects. A 1974 study entitled, “Effects of marihuana in laboratory animals and in man” suggested that there may be potentiation of the effects of Delta(9)-THC by other substances present in marijuana. The double-blind study found that marijuana with equal or higher levels of CBD and CBN than THC, induced effects two to four times greater than expected from their THC content. The effects of smoking twice as much of a THC-only strain were no different than that of the placebo. This suggestion was reinforced by a study done in 2003 by J Pharm Pharmacol called “Medicinal cannabis: is delta9-tetrahydrocannabinol necessary for all its effects?” The scientists compared the effects of a standardized cannabis extract with that of a pure THC (with matched concentrations of THC) and a THC-free extract. They tested the three extracts on a mouse with multiple sclerosis (MS), and a rat brain with epilepsy. Scientists found that the standardized extract inhibited spasticity in the mouse and caused more of a rapid onset of full muscle relaxation compared to THC alone. The THC-free extract caused no inhibition of spasticity in the mouse, although it did exhibit anticonvulsant activity in the rat brain. However, the standardized extract outperformed the pure THC in all circumstances. Therefore, the effects of THC were modified by the presence of other components, and thus, THC is not necessary for all the possible medicinal effects of cannabis. Ethan B. Russo further supported this theory with scientific evidence in his 2011 study, “Taming THC”, in which he proved that non-cannabinoid plant components such as terpenoids serve as inhibitors to THC’s intoxicating effects, thereby increasing THC’s therapeutic index. This “phytocannabinoid-terpenoid synergy,” as Russo calls it, increases the potential of cannabis-based medicinal extracts to treat pain, inflammation, fungal and bacterial infections, depression, anxiety, addiction, epilepsy and even cancer.